Marlon Brando wore a T-Shirt in A Streetcar Named Desire. It became fashionably cool to wear as an outer garment. 1. The T-shirts were originally evolved in 19th century where they were collectively called as ‘long underwear’. 2. The reason for the name T-shirt goes for its shape. 3. It was on 1920 the word T-shirt was included on Merriam-webster, the world wide popular dictionary. 4. From its emergence T-shirts have always played the powerful role of self expression. 5. 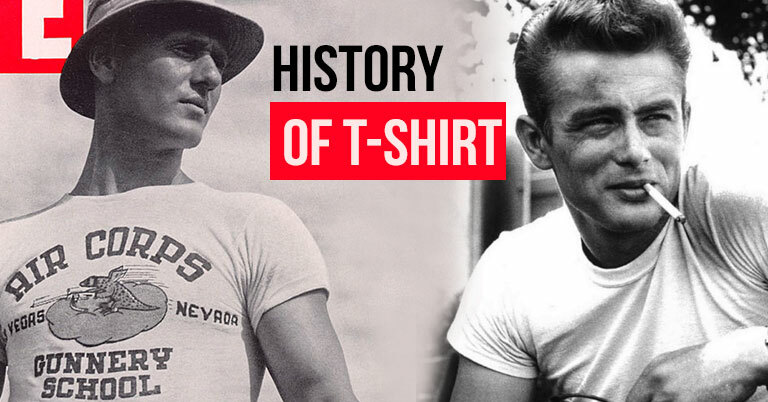 For the first time in history in 1960, custom printed T-shirt were introduced and used majorly by ‘rock n roll’ troops and athletes. 6. In the first time for the history a t-shirt was made for the promotion and the act was for the, ‘Wizard of Oz’. 7.The invention of plastisol, a more durable and stretchable ink made a revolution in the history of t-shirt and it happened in the year 1959. 8. During 70’s the iconic designed T-shirts like smiley faced, actor’s face printed etc.., had attained a massive attention among youngsters. 9. And then came the 80’s period which was the ‘Golden era of Tamil cinema’ with the advent of Kamal and Rajini which made bulk of their fans to wear the t-shirts in order to support their stars. 10. In the 21st century with the revolution made with the industrial age, many printing inks for t-shirts were developed.